Residents have helped save thousands of pounds by collecting more than 220 tonnes of food waste for recycling. East Northamptonshire Council has reported that December 2015 saw more than 220 tonnes of food waste collected, which is the highest amount of food waste recycled in a single month since January 2014. 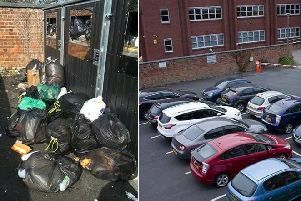 Council leader Steven North said: “I want to thank our residents for continuing to show their passionate commitment to recycling. “Not only are you doing your bit to help the environment but saving money too as each tonne of food waste that is recycled rather than sent to landfill saves nearly £100 per tonne in disposal costs. “So, December’s food waste collections saved about £20,000. The council continues to deliver easy-to-use and value-for-money services and by working to raise awareness of the benefits of recycling, the district’s environment is protected in the long-term. To find out more about the council’s bin collections and recycling services, go to www.east-northamptonshire.gov.uk/recycling.